Washington Lodge was originally chartered in "Boston Highlands", or Roxbury, and holds a Paul Revere charter. It is named for President and Brother George Washington, who was already something of an icon in Massachusetts Freemasonry (a copy of the original Book of Constitutions was sent to him in 1793, and his correspondence appears in the Proceedings.) During 1808, a number of members of this lodge ran afoul of the Grand Lodge by making "improper use" of its charter to confer unsanctioned degrees in Masonry within a body called the Washington Encampment; a copy of a recantation appears on Page II-400, in which 19 brethren chose to "abandon and renounce" all that this organization had done. The charter was restored to these brethren in December of that year. An account of this affair appears in the autobiography of Henry Fowle. R. W. Phinehas Withington, M.
W. Samuel Barry, S. W.
W. John Bowen, J. W.
The ninetieth anniversary of Washington Lodge was celebrated on Monday evening, March 15th, 1886, in the Masonic Hall in Roxbury, the occasion being graced by the ladies of the members' families. Wor. Brothers Samuel Little, John F. Newton, and John Carr, Past Masters of the Lodge, Committee of Arrangements, prepared a judiciously arranged programme, including music, reading and speaking. The ceremonies were conducted by Wor. John F. Newton, who welcomed the audience, and introduced the persons taking part, as arranged. In the fifteen minutes allotted to the History of Washington Lodge, it is possible to give only a disconnected outline. freemasonry has always found a congenial home in Roxbury. St. John's Lodge, the oldest in America, held meetings between the years 1752 and 1775 in Roxbury, in a building then situated on Washington Street, opposite Vernon Street, and Roxbury's heroic son, Joseph Warren, from 1769 to the day of Bunker's Hill, was provincial Grand Master of America. The Roxhury colonists were mostly from one part of England, a homogeneous people, having a common love of civil and religious liberty; actuated by a common friendship, each individual connected his happiness with the happiness of his neighbor. They were exposed to similar dangers and misfortunes, so their friendship and brotherly love cemented them into one sacred band, or society of friends and brothers. They were aboriginal Freemasons. It was the principles of Freemasonry which gave rise to that patriotism, and inspired that public spirit, and that heroic ardor which euabled them to support a good cause, and risk their lives in its defence. Flattering as it may be to the human mind, and truly honorable as it is, to receive from our fellow-citizens testimonies of approbation for exertions to promote the public welfare, it is not less pleasing to know that the milder virtues of the heart are highly respected by a society whose liberal principles are founded in the immutable laws of truth and justice. To enlarge the sphere of social happiness is worthy the benevolent design of a Masonic institution, and it is most fervently to be wished that the conduct of every member of the fraternity may tend to convince mankind that the grand object of Masonry is to promote the happiness of the human race. may bless you here, and receive you hereafter into his immortal temple. He who was "first in war,'first in peace, and first in the hearts of his countrymen," knew what Freemasonry is. This union of the two Grand Lodges was the beginning of a new era in Masonic history. Just after this union, March 13th, 1706, a number of Roxbury Masons met at the house of Bro. Harriman to take into consideration the subject of forming a lodge of F. and A. Masons. The next day a petition was presented to the Grand Lodge, asking them to institute a lodge in Roxbury to be called Washington Lodge of F. and A. Masons. A warrant of constitution was granted the same day, March 14th. The charter is dated March 17th, 1796, and signed by Paul Revere. The first set of officers were Hon. Ebenezer Seaver, W. M.; Simeon Pratt, S. W.; John Ward, J. W.; Timothy Ruggles, Treas. ; Nathaniel Ruggles, Sec. ; Moses Harriman, S. D.; Timothy Heely, J. D.; William Brewer, S. S.; Stephen Davis, J. S., names still borne in Roxbury; "people of substance," enterprising, industrious, and God-loving. Permit me to introduce to you the elected officers more minutely. The Master, Hon. Ebenezer Seaver, lived in that old house which now stands near the corner of Blue Hill Avenue and Schuyler Street. "He was prominent in town politics, and administered fown affairs with scrupulous integrity, wisdom, and economy for nearly forty years. For some years he was a member of the legislature, was in Congress from 1803 to 1813, was one of the Committee on Foreign Affairs that reported a manifesto as the basis of the declaration of war with England in 1812, and was a member of the convention which, in 1820, amended the State Constitution. Though a graduate ol Harvard, he preferred the occupation of a farmer to either of the learned professions, and closed a useful and honorable lite, March 4th, 1844. The Senior Warden, Simeon Pratt, lived in the cottage now the residence of our excellent Dr. Cotting, and carried on a tannery where the Metropolitan stone stable stands on Eliot Square. The Junior Warden was a prominent member of the "Punch Bowl" Fire Engine Company. The Treasurer, Joseph Ruggles, lived in a house which he built in 1781, where the Norfolk House now stands. He was a graduate of Harvard, and a lawyer of considerable note. The Secretary, Nathaniel Ruggles, lived nearly opposite the engine house on Centre Street, in that old three-story house with brick ends. He was a graduate of Harvard in 1781, and a member of Congress from 1813 to 1819. A lawyer by profession, and was for many years prominent in town and county affairs. Such were the men that met on the level and organized Washington Lodge. In Harriman's Hall, where the Lodge was instituted, two were initiated, and one received the second degree. The Harriman House, in the third story of which was Harriman's Hall, is still standing; it is the third of three old houses on the right-hand side of Tremont Street, just beyond Parker Street. May 20th, 1796, the lodge made its home in Pierce's Hall on Centre Street, where the engine house now is. In this hall was made its first Master Mason, M. P. P. Lancaster. The Washington Lodge met for installation at Pierce's Hall, and in Grand Lodge, the Most Worshipful Paul Revere, G. M. The reepjisite inquiries and examinations were made by the Grand Master, and after a preliminary address and descant upon the principles of Freemasonry was given by Brother, Josiah Bartlett, the Grand Master proceeded to install the Washington Lodge in ancient form, which was solemnly and pathetically consecrated by our Rev. Brother William Bently; which business being regularly completed, all the brethren present walked in procession to the meeting-house, where an address was delivered by Brother Dix, and a well-adapted sermon delivered by Rev. Brother Bently, to a respectable and well-pleased audience. The brethren returned in regular procession to their hall, where, with a number of respectable gentlemen not of the fraternity, . . . they partook of a convivial repast, which ended with decency and decorum. The lodge numbered then twenty-one members. You are now convened for the first time in Brother Harriman's Hall, newly prepared for your use, furnished with implements which loudly speak that industry is the parent of improvement, and the strength of the community. In the midst of symbols which emphatically call you to the prompt discharge of the duties of your profession, and surrounded with hieroglyphics which expressly remind you of those virtues which adorn society, and ennoble the human heart. May those principles be here instilled which shall further beautify your lodge-room, and tend to the honor and respectability of Masonry. May that circumspection be here observed and here taught that shall make every brother the pride of this profession, and the express means of universal commendation. In fine brethren, may your characters and reputation be as bright, your philosophy as broad, your duration as long, your penetration as deep as the dimensions of a well-constructed lodge. July 15th, 1807, the Lodge removed its home to Sumner Hall, on what is now Palmer Street. This building was taken down the first of this month. August, 1808, the Grand Lodge ordered this lodge to surrender its charter because the charter had been used to confer other degrees than those authorized by the Grand Lodge. In many of the lodges at that time the Chapter degrees and the Orders of the Temple were irregularly conferred; the Grand Lodge thought best to oblige the lodges to attend to their legitimate work. The members of Washington Lodge became convinced of their error, and made an honorable retraction, which was unanimously accepted by the Grand Lodge. Consequently, their charter was restored in the following December. But this little trouble caused many of the members to lose their zeal; in September, 1815, only six attended the meeting. The whole receipts of that year was $13.50. A faithlul few persevered, and soon harmony and good fellowship prevailed, and the lodge assumed a more elevated and dignified standing. Sumner Hall being found inconvenient, a suitable hall was procured on the corner of Washington Street and what is now Guild Row, and fitted up under the direction of the lodge. The hall was dedicated November 8th, 1816; The Grand Lodge and a large number of visiting brethren with their ladies were present. Prayers were offered by Rev. Dr. Porter and Rev. Brother Paul Dean. It was a brilliant affair. At the close, the whole company partook of a rich repast. This was one of the bright days in the history of Washington Lodge. Rev. Eliphalet Porter was pastor of the First Church in Roxbury from 1782 to 1830. Though not a Mason, he was an ardent supporter of Masonry. His meeting-house was always open to Washington Lodge, and his name appears often on our records. At one of the meetings, a member remarked that he considered Rev. Dr. Porter good enough to be a Mason. Rev. Dr. Hosea Ballou, pastor of the Universalist Society from 1821 to 1838, was also a Christian patron of Freemasonry. He was an honorary member of this lodge. Several times Dr. Porter and Dr. Ballou officiated together for Washington Lodge. The following year the lodge celebrated the 24th of June. In the morning the members assembled at the hall, and were joined by a large number of brethren from the lodges in the vicinity. At noon a procession was formed, and they proceeded to Dr. Porter's Church. The ceremonies were very imposing, consisting of a sermon by Rev. Dr. Saunders of Medfield, an oration by the Rev. Joseph Richardson of Hingham, prayers by Rev. Dr. Harris and Rev. Dr. Porter, and music by the choir of the church. At the conclusion of these services, the members of the lodge, with a large number of the clergy and other invited guests, partook of an elegant banquet at the Town House. In 1820, the lodge laid the corner-stones of the First Baptist Church and the Universalist Church in due and ancient form. March 14th, 1821, the lodge commemorated its twenty-firth anniversary. John Howe, the Master, delivered an historical address of great merit, which is spread in full on our records. In 1827, the lodge purchased the estate on which their hull was situated. The estate was bounded on Washington Street, 34 feet; on the west by Smelt Brook, 34feet; south by Grammar School property, 27 feet; and east by Samuel Sumner, 47 feet. Also the May lot, west of Smelt Brook, and bounded on Washington Street, 23 feet, for all of which the lodge paid $1,324.19, making with necessary repairs, an outlay of $1,585. They mortgaged the estate for $1,113.50. Most of the May lot was afterward sold to the Universalist Society. In 1827, the great anti-Masonic excitement sprung up. "Throughout the length and breadth of the land, the fraternity was bending beneath the violent and unmerited attacks of public opinion; the ruthless hand of ignorance was exerting its utmost strength to lay waste and destroy our beloved institution. It was no idle or unmeaning title to bear at that time — that of a Free and Accepted Mason — but one that immediately placed the bearer in a position to receive, not only the venom from the tongue of calumny, but personal attacks of violence." Yet there were noble and heroic souls, who, regardless of all consequences to themselves, manfully stood by, and upheld those principles they knew to be right. The people of that time, through their ignorance of the institution of Masonry, were not aware that by decrying Masonry, they derogated from the dignity of human nature itself, and 'from the good order and wise disposition of things, which the Almighty Author of the world has framed for the government of mankind, and established as the basis of the moral system. Friendship and social delights can never be the object of reproach, nor can that wisdom which hoary time has sanctified, be a subject of ridicule. Whoever censures what he does not comprehend, degrades himself, and the.generous heart will pity the mistakes of such ignorant presumption. During that persecution Washington Lodge held regular meetings, but some withdrew, and a few renounced Masonry, while the majority were true to the trust reposed in them. Notwithstanding, it took years for Masonry to recover from the blow. Washington Lodge struggled along like a vanquished army, its members straggling away one by one, until at a meeting in 1841 there were present only Dr. Charles Wilde, of Brookline, W. M.; John Webber, S. W.; Warren Marsh, J. W.; Chester Guild, Treas. ; Samuel Jackson, Sec. ; and Joshua Holden, William Bacon, and Edward Lang. They were the heroes of Washington Lodge. Good men and true they must have been. The Lodge being unable to carry their real estate, it was sold at auction for $1,300, and in July, 1841, the lodge unanimously voted to surrender their charter and property to the Grand Lodge. But before the vote was fully carried into effect, the lodge revived, and in 1846 was reorganized under the old charter in Webster Hall. From July 22d, 1841, to December 24th, 1846, the lodge held no meeting. From that time to the present, Washington Lodge has continued in prosper. In 1851 the place of meeting was changed to a building on Washington Street, opposite Warren Street. In 1856 they moved to a hall in Bacon's Block. The growth of the lodge was such that this place soon became too small for them. In 1865 these apartments were leased and fitted up at an expense of $5,000, which was contributed by the mem-bers. Last year they were refurnished at an expense of $3,300. During its ninety years of existence, 751 have received the degrees of Masonry. Among these is numbered many of the most respectable and influential citizens of this vicinity. The number of members at date is 220. The records are illuminated throughout with deeds of charity and pure beneficence. Charity is the chief of the social virtues, and the distinguishing characteristic of Masons. Before the days of railroads, weary pilgrims on their way to join their families and friends, frequently applied to the lodge for assistance, which was always given. Having passed my limit of time, I close this hasty sketch by recommending to the brethren of Washington Lodge, as the most efficient means of ensuring the permanency and extending the influence of the Craft, the cultivation of that beautiful code oi: morals which runs like a ri<sli vein through the entire system of Freemasonry; assured that nothing can tend so effectually to crown the science with the verdant wreath of public approbation, as the virtuous life and guileless demeanor of its assiduous professors. Wor. Bro. Rev. John W. Dadmun spoke as follows, on PAUL REVERE. This ninetieth anniversary of Washington Lodge naturally suggests many personal and historic incidents of thrilling interest to us all. Washington, Franklin, Lafayette, General Warren and Paul Revere were prominent Freemasons and distinguished patriots and heroes of the American Revolution. We are not only celebrating this anniversary under the honored name of the renowned-and immortal Washington, but near the birthplace of the hero of Bunker's Hill, after whom Joseph Warren Commandcry of Knights Templars is named. - In addition to this, the charter of this lodge bears the name of Paul Revere as Grand Master of Masons, who constituted it and installed its first corps of officers. Although self-taught, his industry and enterprise knew no bounds. He became a skilful engraver on copper-plate, producing prints illustrative of the repeal of the Stamp Act, the "Boston Massacre," the landing of the British troops at Boston, and many others, some of which are now extant. In 1775 he engraved the plates, made the press, and printed the paper money ordered by the Provincial Congress, then in session at Watertown. At the time he was one of the four engravers then in America. He was a member of the famous "tea party" that boarded the British ships and threw 342 chests of tea into Boston Harbor, December 16th, 1773. At the instance of Gen. Warren, he rendered an important service to his country by secretly leaving Boston at 10 o'clock on the night of April 18th, 1775, and riding through Charlestown to Concord announcing the British expedition of the following' day. Who has not read Longfellow's Midnight Ride of Paul Revere? or of the signal lantern in the steeple of the "Old North Church?" This service, with many others of like nature which he rendered on his faithful horse, shows that he is worthy of being called "The Messenger of the Revolution." He became Lieutenant-Colonel of State artillery ; participated in the Penobscot expedition of 1779; established a foundry of cannon and church bells ; erected extensive works for rolling copper at Canton, Mass., which are still maintained by his successors as the "Revere Copper Co."
Paul Revere was an active and a zealous Mason, and highly esteemed by the whole Fraternity, as the honorable positions to which he was elected abundantly prove. He was raised to the sublime degree of Master Mason in the Lodge of St. Andrew January 24th, 1761; served as J. G. Warden of the Grand Lodge of Mass. in 1777-8 ; as S. G. Warden in 1779-80-81-82-83; was Deputy Grand Master in 1784-5, and again in 1790-1; filled the office of Grand Master in 1795-6-7. It was under his administration that Washington Lodge was chartered, March 14th, A. L. 5796, A. D. 1796. The records show that the charter is dated three days (March 17th) after it was granted, which must have been the mistake of the Grand Secretary. On Thursday, October 16th, 1796, the officers of the lodge were publicly installed by M. W. Paul Revere. He manifested his high appreciation of Freemasonry by being exalted to the sublime degree of Royal Arch Mason, and created and clubbed a Knight Templar in St. Andrew's R. A. Lodge in 1769. As Grand Master of Masons, he laid the corner-stone of the Boston State House July 4th, 1795. The stone was drawn up the hill by fifteen "milk-white" horses, which represented the number of States then in the Union. On January 11th, 1800, Paul Revere, John Warren and Josiah Bartlett, as Past Grand Masters of the Grand Lodge, made a request of Mrs. Washington for a "lock of hair, an invaluable relique of the hero and patriot, whom their wishes would immortalize," to be preserved in a "Golden Urn." The request was granted. This urn is three and seven-eighths inches high; the top unfastens, and the lock of hair is coiled upon the top, under glass. It was made by Paul Revere, as was probably the wooden pedestal on which it stands. This precious relic has been carefully preserved, being handed down from one Grand Master to another. As a man, Paul Revere was noted for his public spirit. When the Massachusetts Constitution was adopted in 1788, Samuel Adams was at first opposed to it. A meeting of mechanics was called at the Green Dragon Inn, and resolutions were passed in favor of the Constitution, which were handed to Mr. Adams by Paul Revere. Daniel Webster alludes to this incident in one of his speeches as follows: "He received the resolutions from the hands of Paul Revere, a brass-founder by occupation, a man of sense and character, and of high public spirit, whom the mechanics of Boston ought never to forget. 'How many mechanics,' said Mr. Adams, 'were at the Green Dragon when these resolutions were passed?' ' More, sir,' was the reply, 'than the Green Dragon could hold.' 'And where were the rest, Mr. Revere?' 'In the streets, sir.' ' And how many were in the streets?' 'More', sir, than the stars in the sky.'" He was connected with many charitable and philanthropic associations, in all of which he performed honorable and signal service. Paul Revere died at Boston, May 10th, 1818, aged eighty-four years, and was buried in the Granary Burying Ground. Thus ended a very active, useful and honorable life. Two of his grandsons laid down their lives for the cause of the Union in our late civil war. When we think of the long line of patriots and heroes, many of whom were also Masons — and some of whom we have already named — and of the bright examples they have left us,- we ought to go from this anniversary with new and higher hopes and purposes. May the spirit of the fathers ever abide with us. On the 13th of March, 1796, eight masons met at the house of Brother Harriman, (still standing on Tremont Street). After due deliberation they resolved to petition the Grand Lodge for a Charter. They also chose by ballot their officers. It is said that "The petitioners were people of substance, enterprising, industrious and God-loving." On the following day the petition was granted by the Grand Lodge and on the 17th the Charter was signed by Most Worshipful Grand Master, Paul Revere. From this date the lodge takes Precedence. The house where the brethren first met belonged to one of the Members of the new lodge, Brother Harriman and is shown in the illustration. "Brethren: You are now convened for the first time in Brother Harriman's Hall, newly prepared for your use, furnished with implements which loudly speak that Industry is the parent of improvement and the strength of the community, in the midst of symbols which emphatically call you to the prompt discharge of the duties of your profession, and surrounded with hieroglyphics which expressly remind you of those virtues which adorn society and ennoble the human heart. 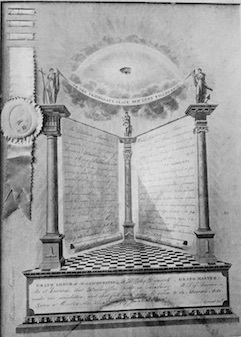 "May those principles be here instilled which shall further beautify your lodge room and tend to the honor and respectability of Masonry; may that caution and careful scrutiny be here used that shall baffle the designs of cowans and keep the brethren within masonic order; may that circumspection be here observed and here taught that shall make every brother the pride of the profession, and the express means of universal commendation. "In fine, brethren, may your character and reputation be as bright, your philanthropy as broad, your duration as long, your penetration as deep as the dimensions of a well constituted Lodge." The brother Ruggles who made the address was the first secretary of the lodge.— He was made secretary on the night he was admitted, June 6, 1796. - Up to that time the lodge had no regular secretary, the records were made up by Brother Ruggles from "rough minutes handed to him." Nathaniel Ruggles was a graduate of Harvard, a lawyer and a member of Congress. A few extracts from the By-Laws adopted June 27, 1796 illustrate the ideas of the time regarding the duty of the brethren and the dignity of the organization. "This Body may consist of forty members." "That the greatest decency and good order may be observed, it is strongly recommended that every member appear cleanly dressed." "The Tyler shall not be a member of any Lodge." "Every member chosen on a committee who neglects his duty shall pay 50 cents." "No foreigner shall pay towards the expenses of the evening; but every brother belonging to the town or its vicinity shall pay 37 cents and a half." "The Lodge shall always close at 11 o'clock, and at all times, when convenient, it shall be closed at 10 o'clock." "Any brother, not a member, making application for assistance shall have the benefit of a contribution of the brethren present." "Fees for the degrees: first and second, $12.50; second, $3.00; third, $4.00. Membership, $5.00, if made in this Lodge; $10.00 for others." "Quarterages: 75 cents, except seafaring members, who shall pay 10 cents." "Every brother, visiting the Lodge, shall pay 37 1/2 cents." Dec. 14, 1799, George Washington died; this lodge which bears his honored name, exhibited its loyalty to his memory at a special meeting held Jan. 1, 1800, in the following record. "The Washington Lodge, deeply impressed at the loss the fraternity and the public have sustained in the death of our Right Worshipful and Illustrious Brother George Washington, and wishing to join their Brethren and the public in testimony of respect to his memory; whereupon voted to choose a committee to report immediately what badges of mourning the Lodge will adopt." "The Lodge was draped in black; the members' aprons were trimmed with a black star in the centre; the officers wore a black knot on their jewels; and the brethren wore a black weed on the left arm with a narrow blue ribbon interwoven, for three Lodge nights." 1800, Jan. 14. Funeral honors were paid to the memory of Washington. Capt. Barnes's company of infantry; the school children with their teachers; two infantry companies; company of artillery; a company of light infantry; a troop of cavalry, dismounted; music; Washington Lodge of Freemasons; reverend clergy; the bier carried by six sergeants; town officers; and a large number of citizens, four abreast. The procession moved down Washington Street to the Boston line, and then countermarched to Rev. Mr. Porter's meeting-house, Eliot Square. The bier was carried into the meeting-house and placed in front of the desk. After the prayer, by Rev. Mr. Bradford, a eulogy was delivered by Rev. Dr. Porter. "While the procession was moving, minute guns 'with full loadings' were fired by a detachment of artillery, from 'High Fort', and one of the pieces through the identical embrasure from which the Americans discharged the first cannon against the British troops in Boston during the siege." The lodge took part in the public-funeral honors that were paid to the memory of Washington, Jan. 14, 1800, and on Feb. 8, voted: to pay ten dollars to the Grand Lodge to defray the expense of the grand procession on the 11th instant in honor of our departed Brother, George Washington. In 1805, Sept. 10. The Grand Master issued a circular letter, setting forth that in many cases the work in the Lodges was rude and imperfect; therefore he had ap pointed a Grand Lecturer to visit all the Lodges and instruct them in the ancient mode of labor. These new measures created considerable friction in the Lodge throughout the jurisdiction. 1805, Oct. 30. Washington Lodge voted not to take any notice of the new method, believing the changes to be an innovation. Washington Lodge suffered from the unpleasant feeling engendered by the discussion which followed. On Jan. 21, 1807. It was voted that the Master and Wardens be directed in Grand Lodge, at the next quarterly communication, to use their influence that the Grand Lodge remove the Grand Lecturer from his office." With this last shot at the Grand Lecturer, the opposition to the new lectures subsided. The radical measures proposed by the new work produced much difficulty throughout the jurisdiction, including the Grand Lodge. In 1808. The Charter of Washington Lodge "was resumed by the Grand Lodge and laid on the table." It appears that some of the officers and members of Washington Lodge, with others, had made use of the charter as authority for holding meetings for the conferring of the chapter and perhaps other degrees; they styled themselves Washington Encampment. It is not probable they intended any disrespect to the Grand Lodge or that they believed they were going beyond their rights, their action however was not approved by the Grand Lodge. The charter was shortly returned, the brethren having promised due submission. Washington Lodge in common with most of the other old lodges has had a varied experience of prosperity and discouragement; from 1808 to 1816 interest was at a low-ebb; prosperity then attended the lodge until the period of the great anti-Masonic excitement which spread over the entire country. The feeling of the lodge at that time is shown by the following record of July 22, 1841. "At a meeting of Washington Lodge held at Mr. Ames's Hotel, it was thought from the reduced number of our members that it was inexpedient to remain together longer as a lodge." "Bro. Chester Guild then made a motion that we surrender to the Grand Lodge our Charter and such other property in our possession as the laws of the Grand Lodge require, which was with great reluctance voted unanimously." "Voted: That this meeting be dissolved." The above vote was not carried out fully. The Charter was surrendered; but the other property of the Lodge was stored. From the little town of Batavia, N. Y., the anti-Masonic excitement, which swept over this country from 1826 to 1834, was sent forth by three notorious renegades, Win. Morgan, David C. Miller, and David Johns, who banded themselves together to circulate the writings of Miller and Morgan. While this epidemic was frightening timid people throughout the State of New York, Michigan, and the western part of Pennsylvania, a gentleman of mercurial temperament, a resident of Milton, Mass., visited that region, took the infection, and brought it to Massachusetts. The infection spread over the State, broke up many Lodges, caused dissension in the churches, in the homes, and in business circles. Men known to be Masons were jeered at in the streets. Moral courage was soon found to be an unfailing antidote for this disease. Twenty-five or thirty faithful, staunch, and intelligent Brethren met one Friday night at the house of the venerable and beloved Brother Robert Lash, and agreed to come out, over their own names, and give the lie to the scandals with which Masonry was assailed. A committee was appointed, R. W. Charles W. Moore, chairman, to prepare a paper, They drafted what is known as the Declaration, which was accepted, and measures taken to have it signed by the Masons. The Declaration was signed by more than six thousand Masons in New England and gave the death blow to anti-Masonry. In 1846 the Grand Lodge voted to return the Charter to Washington Lodge, the Lodge was reorganized and entered on a career of lasting prosperity and usefulness. Various interesting circumstances are mentioned in the records of the Lodge; among them we find that on Oct. 24, 1871, a letter was sent to Washington, D. C., announcing the shipment of a block of granite, four feet long, two feet high, and sixteen inches thick, and inscribed : "Presented by Washington Lodge, F. & A. M. of Roxbury, Mass," to be placed in the Washington Monument; and on Nov. 9, 1871, its receipt and placing in position were reported by letter to the Lodge from the Secretary of the National Monument Association. Dec. 14, 1876, there was presented to the Lodge a piece of the Washington Oak which stood in front of Washington's House at Mount Vernon — the tree was two hundred years old and its trunk twelve feet in circumference. June 14, 1877, a report was presented regarding the action taken by Washington Lodge in response to the invitation received from American Union Lodge, No. 1, of Marietta, Ohio, to attend its centenary. This Lodge was constituted at Roxbury, Mass., Feb. 20, 1776, its charter being signed by Richard Gridley, D. G. Master of the Grand Lodge of Massachusetts, and is the oldest Lodge in the West. It was what was called an "Army Lodge" and followed the patriot army through the entire Revolutionary War, working as occasion permitted, finally locating at Marietta, Ohio. Its original Charter is lost, but it was re-chartered in 1815 by the Grand Lodge of Ohio. Among its members are found the names of "many distinguished men who struggled for liberty during tin-darkest period of those perilous times." Washington Lodge, finding it in expedient to attend the celebration "decided to procure and present to American Union Lodge a set of working tools, consisting of a Master's Gavel, a set of Truncheons and a Marshal's Baton, all made from the wood of the old Elm Tree which, for many years spread its branches over the birthplace of Gen. Joseph Warren, on Warren Street at the corner of Moreland, in this city." The forwarding of this gift and its receipt by American Union Lodge are duly set forth in correspondence, expressive of sentiments of deep regard and fraternity. Jan. 8, 1885, the Lodge by a vote of thanks, acknowledged a gift from Bro. John F. Newton, Jr., of photograph of the Washington Monument with a piece of the capstone, suitably framed, which was placed in the Reception Room. The Lodge was also presented, June 13, 1889, with a Gavel made from a piece of the marble capstone of the Washington Monument, and the handle designed from a piece of wood of the frigate Lawrence famous in the war of 1812. In 1890, the Lodge voted ten dollars towards the erection of the Washington Memorial Building at Fredericksburg. Va. The lodge has been the recipient many valuable presents, including a Holy Bible, square and compasses from Bro. John H. Collamore, engravings, portraits, clocks, pianos and books, among the latter, the most valuable, was a collection of Masonic Addresses delivered by John Rowe, Master of the lodge 1819-21 and of peculiar interest because in Wor. Bro. Rowe's own handwriting. Among the addresses was one that he delivered on the 25th Anniversary of the Lodge. The book is beautifully written and decorated by the author. Among the property of the Lodge there is nothing that is held more valuable that a set of Officers' Jewels made by that distinguished artificer and Mason Paul Revere, whose name is found on the Charter of the Lodge. The set of Jewels is complete with the exception of that of the Junior Warden, the absence of which cannot be explained, We take great pleasure in presenting an engraving from a photograph of these Jewels to the readers of the New England Crafts man, also of a photograph of the bill for same, receipted by Paul Revere. One hundred and fifty years, a century and a half, have passed since eight of our ancient Brethren met at the house of Brother Harriman on Tremont Street, Roxbury, and resolved to petition the Grand Lodge of Massachusetts for a charter to hold a Lodge in the Town of Roxbury, to be called Washington Lodge. On March 14, 1796, the Grand Lodge voted that the prayer of the petitioners be granted. On March 17, 1796, the charter was signed by Most Worshipful Paul Revere, the then presiding Most Worshipful Grand Master of the Grand Lodge of Massachusetts. The original charter is still in the possession of Washington Lodge and has been carefully preserved and is now in good condition. The original set of officers' jewels made by Paul Revere are still in the possession of the Lodge and, except for the original charter, are deemed the most precious possession of the Lodge. The enormous expansion of our country and the vast changes in the ways of life since 1796, the year our Lodge was instituted, could have been visualized or imagined by few persons then living. Then the facilities for travel were limited. The family still gathered around the kitchen hearth. The church, the Lodge and the village store were still the gathering places of the community and community spirit was strong and vigorous. Then, in 1796, there were no steamships, no railroads or street cars, no telegraph or telephones, no movies, autos, radios, airplanes. Unknown to them were many other of the conveniences we deem so necessary today. Every day life for them was so much simpler and its tempo much slower than it is for us today. Yet with all these changes, Masonry remains unchanged. Today our Temples may be larger and we may go further afield to visit our Brethren; today we have many more activities both business and social, than our Brethren of one hundred and fifty years ago, yet Masonry still survives, not static, but vital and active, the oldest fraternal society in the world, yet the most modern, for the principles it inculcates are as true today as in the centuries past. A society founded on a belief in God and the Christian virtues. Taking the Holy Bible for its standard of truth and justice, it has attracted men of the highest character and mentality to its membership. Its principles of brotherly love, relief and truth have been transmitted through a succession of ages; the attentive ear still receives the sound of the instructive tongue and its future is safely lodged in the repository of faithful breasts. Washington Lodge has a long and glorious history. One of the oldest Lodges in Massachusetts, it has numbered among its membership many men prominent in business and social life. It has upheld the best traditions of our Ancient and Honorable Society. It has adhered to the ancient landmarks. For one hundred and fifty years it has been a source of inspiration and encouragement for all those who value the dignity of manhood and the right of mankind to live in peace and concord in a world where freedom and justice prevail. Our ancient Brethren built better than they knew. The work they began so long ago has endured for it was built upon a firm foundation and has carried on these many long years. May we, their successors, carefully guard our cherished heritage and vigorously carry on the work they so well began. May we hand down to our successors, in their fullest splendor, the honorable traditions of our forebears, that for years to come, generations yet unborn may have the privilege and honor of becoming members of Washington Lodge — this grand old Lodge of ours. In 1945, shortly after the termination of the second World War, our retiring Master, Worshipful J. Francis Dickson, Jr., in his retiring message to the Brethren, had these words to say: "Under such trying conditions and in a world torn apart by hate and fear, it was only natural that the Brethren were looking to their Lodge for relief and with the full expectation that within its walls would be found an atmosphere based on charity, human friendliness, human fellowship and brotherly love. These, my Brethren, are the final human qualities that have justified the existence of our Lodge over a period of one hundred and forty-nine years. These are the qualities which provide the very foundation of Masonry." On March 17, 1896, a special communication of Washington Lodge was held at the Masonic Hall in Roxbury for the observance of its centennial. A full description of the centennial exercises, order of services at the church (1st Religious Society in Roxbury, Eliot Square) and the reception and banquet at the Odd Fellows Building can be found in the Centennial History of Washington Lodge published in 1896. Of these officers, only two are now living — Worshipful Arthur H. Frost and Brother Edwin E. Chesley. In the centennial history of Washington Lodge the last entry in the chronology is March 12, 1896. We take up the story at that date and we have endeavored to select the outstanding events as they occurred to us. We hope you may find them interesting. Perhaps the most important single event in the fifty years covered by this history was the building of the Temple at 171 Warren Street, Roxbury. The Masonic Apartments in Roxbury in 1896, the Centennial Year, were located in the Robinson Building situated at the southwesterly corner of Washington Street and Vernon Street, Roxbury. The first meeting of Washington Lodge held in these apartments was on May 22, 1892. The apartments were dedicated on April 3, 1893, by Most Worshipful Richard Briggs, Grand Master of Masons in Massachusetts, assisted by the officers of the Grand Lodge. These apartments were occupied jointly by Washington Lodge, Lafayette Lodge, Mt. Vernon Chapter, Royal Arch Masons, Roxbury Council, Royal and Select Masters and Joseph Warren Commandery No. 26, Knights Templar. Previous to 1892, the meetings of Washington Lodge were held in the Guild Hall, located at the northeasterly corner of Washington Street and Dudley Street. While the lodge-room in the Robinson Building (a very good picture of this lodge-room may be found in the Centennial History of Washington Lodge) was attractive and well suited to lodge purposes, the other accommodations, dining room, ladies room, armory, etc. were limited, and the several bodies using the apartments were rapidly increasing in membership. By the year 1900 it had become evident that larger quarters with better facilities for both labor and refreshment were desirable. Also quoting from the Dorchester Beacon of December 26, 1902, "The recent advent of the Elevated with its thunderous noise in front of the building added to the dissatisfaction has hastened the present movement." That movement was for the Masonic bodies in Roxbury to build and own a permanent home for themselves. The Roxbury Masonic Association. So many years have elapsed since the Roxbury Masonic Association was formed that we have no clear record of just how the movement started, but we do know that about the year 1900 subscriptions were being made by the members of the Masonic bodies in Roxbury toward a fund to be used for the purpose of constructing a new Masonic Temple. We know that Worshipful Brothers John F. Newton, Solomon A. Bolster and Silas W. Brackett, who were the Trustees of the Masonic Apartments in 1900, with many other members of Washington Lodge, took an active part in soliciting subscriptions for and promoting interest in the building of a new Temple. "June 26, 1901. A meeting of the subscribers to the Agreement of Association with the intention of forming a corporation according to the provisions of Chapter 115 of the Public Statutes of Massachusetts, etc. was called at Masonic Hall in Roxbury at 2307 Washington Street. The meeting was called to order by Judge Bolster who read the legal call, in part as follows: 'To constitute a corporation to be known by the name of the Roxbury Masonic Association. The purpose for which this Corporation is constituted is for the association and accommodation of Societies of Free Masons and other charitable or social bodies of like character and purpose and for the establishment and maintenance of a place for reading rooms, library and a social meeting place for such bodies.' "
The first recorded meeting of the Directors of the Roxbury Masonic Association was June 27, 1901. The location of the Temple on a lot known as the Arnold Estate where the Temple is now situated was taken under consideration. A charter was granted to the Roxbury Masonic Association July 8, 1901. At the meeting of the directors July 28, 1901, it was voted that the charter be accepted. January 1, 1902, the architect authorized to prepare plans and specifications; January 9, 1902, it was voted for the committee on plans to prepare a full and detailed plan, etc. ; April 1, 1902, voted to move the building, the large house then standing on the Arnold lot, to the rear. The directors in 1902 were Solomon A. Bolster, President, William G. Fish, Vice President, Herbert F. More, Treasurer, I. Austin Bassett, John Carr, John F. Newton, Edwin S. Davis, Silas W. Brackett, George A. Brackett, George H. Waterman, George H. Emerson, Edward H. Wise, Frederick M. Briggs, William Donaldson, Charles F. Draper. The Architect of the building was Edwin H. Oliver, then Junior Deacon of Washington Lodge. The contractors for the building were M. S. and G. N. Miller. The junior partner of the firm was Sherburne N. Miller, the son of G. N. Miller. Sherburne was at the time (1902) the Senior Deacon of Lafayette Lodge. As soon as the Arnold House was removed to its present site on Tolman Place, the work of building the new Temple was started and progressed rapidly, and by the last of July, was ready for the corner stone. On July 18, 1902, the members of Washington Lodge received the following communication regarding the laying of the corner stone. (Omitted from printed Proceedings). On the afternoon of July 30, 1902, the procession was formed on Washington Street near the Masonic Apartments under the direction of I. Austin Bassett, Chief Marshal, and passed in review at the National Rockland Bank, proceeded through Washington Street, Dudley Street and Warren Street to the site of the new Temple, where the ceremonies of laying the corner stone were carried out under the direction of the Most Worshipful Grand Master, Charles T. Gallagher. Dorchester Beacon, July 26, 1902. "The Masons now meeting in the Masonic Hall at the corner of Washington Street and Vernon Street will see the fruition of long cherished hopes and will meet in their new home. They will thus be subject to no one's caprice and the site being chosen for the future as well as for the present. Probably no one now living will see any of the Lodges at any other home." Nearly forty years have passed since these words were written and our Temple is still our pride and joy. The Temple was dedicated on March 17, 1903, by Most Worshipful Baalis Sanford. The first meeting of Washington Lodge held in the new Temple after dedication was the special communication held on Friday, March 20, 1903. The beauty of our lodge-room with its system of indirect lighting and beautiful color effects is not surpassed by any and the building and its accommodations are as modern today as if built but yesterday. We should be truly grateful to those who, in years gone by, gave so much of their time, their thought and their energy toward building a beautiful and enduring home for us in Roxbury. Very few of them are alive today, but praise be to God, Hiram the Builder, Worshipful Brother Sherburne N. Miller, and Hiram Abiff, the Architect, Worshipful Brother Edwin H. Oliver, are still with us alive and active. Let us hope that the Lodge may continue its work for many years to come and that we may pass on to those who celebrate the two hundredth and two hundred and fiftieth anniversaries of its institution a continued history of which they may be proud and in which they may feel inspiration. By Worshipful Walter D. Carr and Worshipful Edmund W. Pease. "A petition from Simeon Pratt and others, praying for a Charter to hold a Lodge in the Town of Roxbury, by name of Washington Lodge, was read; and Voted, That the prayer of the Petitioners be granted. Brother Pratt presented the Petition, and was admitted to a seat in Grand Lodge." On March 17th that now historic and honored charter was signed by Most Worshipful Brother Paul Revere who, in his capacity as the Most Worshipful Grand Master of Masons in Massachusetts, installed the first line of officers of this new Lodge, called Washington Lodge, on October 16th of that year. From March 17, 1796, the Lodge takes precedence and is the thirteenth oldest Lodge of Freemasons in the Commonwealth. History recites that following the installation ceremony the Brethren, together with a number of respectable gentlemen, not of the fraternity, partook of a convivial repast which ended with dignity and decorum. It is also reported that the Senior Warden and the Deacons were appointed a committee "to distribute the fragments to whom they thought the most needy." "No foreigner shall pay toward the expenses of the evening; but every brother belonging to the town or its vicinity shall pay 37 cents and a half." "Brethren: You are now convened for the first time in Bro. Harriman's Hall, newly prepared for your use, furnished with implements which loudly speak that Industry is the parent of improvement and the strength of the community, in the midst of symbols which emphatically call you to the prompt discharge of the duties of your profession, and surrounded with hieroglyphics which expressly remind you of those virtues which adorn society and ennoble the human heart. "The Washington Lodge, deeply impressed at the loss the fraternity and the public have sustained in the death of our Right Worshipful and Illustrious Brother George Washington, and wishing to join their Brethren and the public in testimony of respect to his memory; whereupon voted to choose a committee to report immediately what badges of mourning the Lodge will adopt. . .
"The Lodge was draped in black; the members' aprons were trimmed with black ribbon, with a black star in the centre; the officers wore a black knot on their jewels; and the brethren wore a black weed on the left arm with a narrow blue ribbon interwoven, for three Lodge nights." On January 14th, memorial honors were paid to that great patriot and in the long procession of infantry, artillery, cavalry, dismounted music, reverend clergy, school children, and citizens four abreast, was Washington Lodge of Freemasons marching to The First Meeting House of Roxbury in Eliot Square. During this historic procession and amid the tolling of bells, "Minute Guns" were fired through the identical embrasures at "High Fort" from which the Americans discharged the first cannon against the British troops in Boston during the siege. At the close of its first quarter century mark, it is stated that Washington Lodge "held no inferior rank among sister Lodges" and from that modest beginning until the present it has flourished to become one of the outstanding Lodges of Massachusetts Masonry. Its roster of members and Masters discloses that it has given to Roxbury, three Mayors; three to the City of Boston; and to our Commonwealth a Governor, the Honorable William Gaston. In Masonry its name is no less illustrious for, from its members have been selected one Deputy Grand Master, later to become Grand Secretary; one Grand Treasurer, subsequently elected Senior Grand Warden; nine District Deputy Grand Masters; and several Grand Officers of lesser rank, all of whom have occupied their high stations with dignity and repute. During the period from 1801 to 1931 it has been instrumental in the establishment of Constellation Lodge of Dedham, Prospect Lodge of Roslindale, Lafayette Lodge of Norwood, Eliot Lodge of Jamaica Plain, Tahattawan Lodge of Littleton, and, recently in 1964, Daniel Webster Lodge in Marshfield of which Wor. Bro. Harry R. Jorgensen, Master of Washington Lodge in 1963, was accorded the high Masonic honor of becoming its first Presiding Master. In truth it can be said that Washington Lodge was the parent of Lafayette, Eliot and Daniel Webster Lodges and the grandparent of Prospect Lodge. It has assisted in laying the cornerstone of many well known buildings and monuments in the Commonwealth, but those of the Masonic Temple in Boston at the corner of Tremont and Boylston Streets and the Pilgrim Monument at Plymouth, merit special allusion. In 1856 and 1857, and at the invitation of the Grand Lodge, it participated in ceremonies attending the inauguration of the Statue of Benjamin Franklin on the grounds of Boston's City Hall and subsequently the civic statue of General Joseph Warren who, as we recall, was the first Grand Master of that ancestral Grand Lodge, "Massachusetts Grand Lodge." On October 24, 1871, and to commemorate the seventy-fifth anniversary of the Lodge, a block of granite bearing the inscription. "Presented by Washington Lodge A.F. & A.M., Roxbury, Mass." was forwarded to the National Monument Association in Washington, D.C., and was later installed in the present Washington Monument of November ninth of that year. To Masons the origin of the "Morning Song" and "Evening Hymn," used so frequently by Lodges and associated so intimately with the beauty of the Third Degree, may well be of interest. The idea originated with Wor. Bro. Daniel W. Jones, Master of Washington Lodge in 1885-1886, who in his desire to embellish and beautify the work, suggested that certain "singing" selections be introduced for that purpose. "Accordingly the hymn, 'The Shadows of the Evening Hours,' was set to new music for male voices and was used for the 'Evening Hymn,' and 'Hail, Smiling Morn,' by Spofforth, was selected for the 'Morning Song.' " Both were sung on the evening of June 11, 1885, by the Temple Quartet. The dramatic value of these "singings" was at once recognized and they have since been adopted to some extent in other jurisdictions. In truth may it be said that they do indeed "tend to strengthen and support every gentle and ennobling emotion of the soul." Washington Lodge throughout its long existence has been the recipient of many valuable gifts of historic and Masonic significance, but among the property of the Lodge there is nothing held in higher esteem than a set of officers' jewels of sterling made by that distinguished Artificer and Mason, Paul Revere, with a receipt bearing his signature attesting to the payment of their cost. The Lodge has never ceased to take pride in exhibiting these beautiful jewels and its historic and priceless charter on every appropriate occasion. No account of Washington Lodge would suffice without reference, brief though it be, to those events which distinguished it at the turn of the century. In 1896 and by "fitting exercises of public character" the Centennial of the Lodge was celebrated with great pomp and circumstance when, in the presence of the Most Worshipful Grand Master and his Grand Officers; distinguished representatives of both Commonwealth and City; sister Lodges; and other prominent personages, tribute was paid to the important part which the Lodge had played in Massachusetts Masonry and to its many members who had attained eminence in civic, judicial, religious and commercial affairs. (1896 Mass. 71-75) In 1902 the building of its beautiful Temple at 171 Warren Street in Roxbury, close to the ancient home of that Revolutionary General, Dr. Joseph Warren, was consummated and dedicated with comparable ceremonies and from that date to the present has been considered by the craft to be one of the most beautiful Masonic Temples, built exclusively for Masonic purposes, in the Commonwealth. 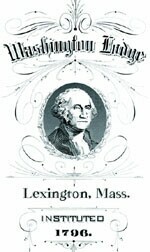 In 1960 Washington Lodge moved to Lexington, Massachusetts, where it established a new home amidst those stirring reminders of its historic ancestry and where during the period from 1960 to 1971, years which well might be called "transitional years," it now applies itself to the discharge of its Masonic duties with the same dedication of purpose as that to which the past years so conspicuously bear witness. On April 19, 1963, it participated in the official parade which celebrated the two hundred and fiftieth anniversary of the founding of the Town of Lexington and the one hundred and eighty-eighth anniversary of a ride made famous by that emi-ent patriot, Paul Revere, when he rode through a quiet and ominous night to the drum of beating hoofs and when "Through every Middlesex village and farm" was heard the fateful alarm, "To arms, the Regulars are out." On this occasion and at the instigation of the Presiding Master, Wor. Bro. Harry R. Jorgensen, a float was entered, beautifully contrived, which displayed a towering Square and Compasses of gold before which sat the Worshipful Master in full Masonic regalia and flanked by two Brothers, Bro. Robert Peckham representing Rt. Wor. Bro. George Washington, for whom the Lodge was named, and Wor. Bro. Walter D. Carr as Most Wor. Bro. Paul Revere who signed its historic charter. It is of interest to note that the chairs used on this occasion were the original officers' chairs employed in 1796 when Most Wor. Bro. Paul Revere installed the first line of officers of this young Lodge. Accompanying this impressive float, and upon invitation of the Worshipful Master, marched Rt. Wor. Bro. Herbert N. Faulkner, Illustrious Potentate of Aleppo Temple, Ancient Arabic Order, Nobles of the Mystic Shrine and all members of the associated uniformed units, four hundred strong; the District Deputy Grand Masters of the Sixth Masonic District; Rt. Wor. Brothers Hugh W. McKee and Richard P. Nyquist; Presiding Masters and line Officers of the district; and all this to the stirring music of the Shrine and Oriental Bands in a display of color and martial music that could not fail but arouse the emotions of every Mason present with patriotic fervor and Masonic pride. Surely it was a day ever to be remembered. On March 17, 1971 and during the administration of Wor. Bro. Peter Seth Moore, its Worshipful Master, Washington Lodge celebrated the one hundred and seventy-fifth anniversary of its birth in a manner appropriate for the occasion and reminiscent of former important milestones in its distinguished past. May it be said that the attentive ear still hears, as of yore, the instructive tongue and to preserve the future and well-being of this ancient Lodge will forever be an emotion faithfully nurtured in the breast of its membership. Sustained by an unfaltering trust in the beneficence of Almighty God and supported by faith in a Divine Providence which guides the path of all true Masons, Washington Lodge now looks forward to a future as renowned as has been the past wherein it may continue to preserve with honor and integrity the Ancient Landmarks of the Fraternity and practice with fidelity those truly Masonic Virtues of: Brotherly Love — Relief — and Truth. To fully appreciate the heritage of Washington Lodge, we must briefly follow the evolution of organized Freemasonry in Massachusetts. In 1733, Henry Price apparently received a commission in London from the Grand Master of England, Viscount Montague. Upon returning to Boston, he organized his Provincial Grand Lodge on July 30, 1733; it was known as the St. John's Grand Lodge. The First Lodge of that organization, now known as Saint John's Lodge, was constituted on August 31,1733. In the early 1750's, a group of brethren met at the Green Dragon Tavern and formed a Lodge later known as St. Andrew's Lodge. In 1754 they petitioned the Grand Lodge of Scotland for a Charter and received it on September 4, 1760. A petition was granted by the Grand Lodge of Scotland on May 30,1769, to appoint the Most Worshipful Joseph Warren, Esquire, to be Grand Master of Masons in Boston, New England and within one hundred miles of the same. After many meetings and discussions, the two Grand Lodges united on March 5, 1792, forming the "Grand Lodge of the Most Ancient and Honorable Society of Free and Accepted Masons for the Commonwealth of Massachusetts". Prior to this time the Massachusetts Grand Lodge had chartered 30 Lodges and the St. John's Grand Lodge, 44 Lodges; each was allowed to retain its original Charter and to take precedence according to seniority. Only eighteen of these Lodges remained or elected to become part of the united Grand Lodge, with two-thirds of them having been associated with the Massachusetts Grand Lodge and one-third with St. John's Grand Lodge. St. Andrew's Lodge did not join the union and worked independently under its Scottish Charter until 1809 at which time it too joined. By December 1795, the Grand Lodge of Massachusetts had constituted twelve Lodges and at their March 1796 Quarterly Communication three more petitioned and were voted upon. The first of these was Washington Lodge, making it the thirteenth Lodge constituted under the present Grand Lodge of Massachusetts. The reason for the creation of Washington Lodge may have resulted from the fact that there was no Lodge within a 20 mile distance from Roxbury and travel in those days was not very easy. It is recorded that eight brethren met at Bro. 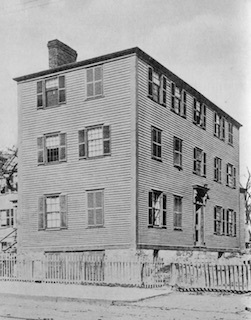 Moses Harriman's house in Roxbury on March 13, 1796, to consider the subject of forming a regular Lodge of Free and Accepted Masons. They agreed to petition the Grand Lodge of Massachusetts for a Warrant of Constitution under the name of Washington Lodge and to hold their regular communication the first Monday of each month; they also selected their senior level officers with Bro. Ebenezer Seaver as Worshipful Master. That petition represented the first of the three Charters granted that day; the Grand Master at the time was M.W. Paul Revere. Three weeks after the Grand Lodge Quarterly Communication, the Charter Members of Washington Lodge met again at Bro. Moses Harriman's house to perform their initial activities under Warrant. During this meeting on April 4, they chose their Deacons and Treasurer and conducted a full and active meeting including the performance of the First and Second degrees. A By-Laws Committee was chosen and it was agreed to search for a suitable Hall. The place chosen was Pierce's Hall. The first Secretary for Washington Lodge was elected on June 6, 1796; Bro. Nathaniel Ruggles being passed and raised and then chosen by ballot to be Secretary. Lodge membership at that time was extended to Entered Apprentices with advancement desired but optional. Installation and Consecration of Washington Lodge was held on Thursday, October 16, 1796, under the leadership of Most Worshipful Paul Revere. Following the requisite inquiries and examinations by the Grand Master, Col. Revere, and a preliminary address by Bro. Josiah Bartlett, the Grand Master installed the officers of Washington Lodge. 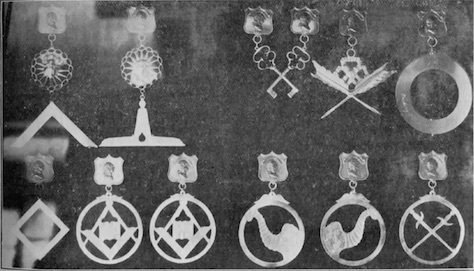 The officers' jewels used by Washington Lodge had been hand-crafted by the Grand Master himself. Following Bro. Bentley's Consecration, the brethren present marched to the Meeting House for an address by Bro. William Dix of Boston and a sermon by Bro. Bentley. The brethren then returned to Pierce's Hall for a "Convivial Repast". An assessment of $2 was levied against each member to cover the cost of this Installation/Consecration evening. As a result of the applicant screening process and an apparent drop in the popularity of Freemasonry across the Commonwealth and the nation, the number of candidates applying to Washington Lodge started dropping off at the turn of the century. This prompted great concern and some actions such as reduction of Quarterages (dues). On June 1, 1803, a committee of seven was appointed to take into consideration the state Masonry is in in Roxbury and to see if anything can be done to revive it. The Committee report delivered in November enjoined the Young Members to attend punctually and to dismiss any member being absent for three stated Lodge Nights without sufficient excuse. Further actions involved a change of Meeting Night and Meeting Place. The Lodge meetings were changed to the Wednesday evening nighest the next full of the moon. In 1798, a committee was chosen to investigate leasing Bro. Harriman's Hall and determine what problems which might be encountered leaving Mr. Pierce's Hall before the expiration of the lease. On December 19, 1798, the Lodge closed to meet at Br. Harriman's New Hall on Wednesday Evening, January 23, it being the Wednesday Evening nighest the full of the moon. Six years later, on December 4, 1806, it was voted to move to Sumner's Hall, the largest hall in the town of Roxbury, which was used for public events as well as Masonic. A Special Communication was held on January 1, 1800, in respect to the late Bro. George Washington and detailed plans were established to demonstrate proper mourning over the next several Lodge Nights. New Grand Lodge regulations adopting a uniform method of working in all Lodges were read at the October 30, 1805, meeting of Washington Lodge. The attendees voted not to take note of these orders which created a Grand Lecturer and Instructor. Communications from that individual were read at the December meeting and the Lodge voted to take no kind of notice of them. There were no more mentions of this subject in the minutes of the meetings for over a year, but on January 21,1807, the Lodge Voted that the Master and Wardens of Washington Lodge be directed in Grand Lodge at their next Quarterly Communication to use their influence that the Grand Lodge shall remove the Grand Lecturer from his office provided his commission has not expired. This was the final mention of any objection to the unified ritual approach. A year and a half later, Washington Lodge was again in the Grand Lodge limelight. They were charged with clandestinely using the Charter of the Lodge to confer degrees beyond the Blue Lodge level. On June 13,1808, a Past Grand Warden and the Grand Marshal went to Roxbury to demand the Charter. The next meeting of Washington Lodge following this action was on August 3, 1808. During the interval, the installed Master, Treasurer and Secretary had resigned. Several other officers and members were under scrutiny and many others resigned. In the meantime, the Grand Lodge committee had evaluated a petition received from the Washington Lodge unoffending brethren and restored the Charter. The accused Brethren of Washington Lodge requested to be heard before the Grand Lodge "Committee of Fifteen" and in December of that year the Committee of Conference recommended that the subscribing associates be restored to all the privileges and hospitalities of Masonry universal. After things had settled down, members of the Lodge voted in response to a motion by Bro. John Ward, to invite those who had withdrawn their membership from this Lodge to become members again by signing the by-laws. This attempt to restore the original Brotherly Love prevailed to all but the former Secretaries. The first District Deputy Grand Master Official Visitation approaching the formality known today, occurred on October 30, 1811. The Right Worshipful Shubael Bell caused his commission to be read, examined the By-Laws and Records of the Lodge and witnessed a Lecture. He made sure he collected the annual return and all monies due the Grand Lodge before he left for the evening. Now that Washington Lodge had set herself right with the Grand Lodge, there were other embarrassments and problems developing. Active membership was decreasing and in 1812-1813 meetings were called to consider giving up the Charter. All formal votes resulted m virtually a unanimous rejection of the idea. Applications for the degrees and membership continued in a depressed state through the early 1810's. In fact the entire year of 1815 passed without a single ballot being held or degree being conferred. A serious effort was conducted that year to "adjust" the membership roles, removing some of the weaker links so that new strengths might be developed; seven Brethren left Washington Lodge, but the following year sixteen new members received their degrees. In March 1816, the Lodge again decided to search for a more suitable and convenient meeting place; new facilities in William Pratt's Hall were dedicated on November 8, 1816. This Hall, located on the corner of Washington Street and Shawmut Avenue, was furnished for a total amount of about five hundred dollars - an amount cheerfully appropriated since this was a facility solely for the use of Washington Lodge. In November 1817, it was voted that Past Master's Jewels be presented to Wor. Gardner, Withington and Clark; these were the first granted by the Lodge. (In late 1930/early 1931, the Senior Warden of Greenwich Lodge No. 467 of New York City sent Washington Lodge a Past Master's Jewel which had been found on a street in Brooklyn - it had belonged to Rt. Wor. Samuel J. Gardner.) Over the next two years, two more Past Masters received their Jewel and the Lodge established the tradition of a newly installed Master presenting the immediate Past Master with a Jewel as his first duty. Washington Lodge celebrated St. John's Day on June 24, 1817, with a gala affair. The Lodge's assistance was requested at the laying of the cornerstone for the First Baptist Society in Roxbury on May 12, 1820, and again on July 28 for the First Universalist Society in Roxbury. The Lodge finances had improved considerably as the years had progressed and there were balances in the treasury after all the bills had been paid. In 1820, the Lodge started considering a suitable refreshment to be associated with the D. D. G. M. Visitations. The D. D. G. M. that year was Rt. Wor. Samuel J. Gardner, Master of Washington Lodge in 1820. A Public Installation was held in December 1821 at the First Universalist Meeting House. Most of the members and a large number of visiting brethren assembled at the Lodge Hall and filed in procession to the Meeting House. The retiring Master, Wor. John Howe, installed the Officers of the Lodge. On November 26, 1821, a major by-laws revision was performed: the meeting night was changed to be the Thursday preceeding the full of the moon, the number of members was opened to as many as the brethren may see fit to admit by unanimous vote, all the officers except the Marshal and Tyler were to be elected by ballot and the Master's term was limited to two years. The lease of the Hall from Mr. Pratt was coming to a close in 1825. A committee consisting of three of the true Lodge leaders of that time voted to purchase the present building and land for the Lodge for a sum of one thousand dollars. This purchase was conducted by a group of proprietors and the Lodge voted to choose a committee of three as Trustees who would transact all business on behalf of the Lodge with that group of proprietors. A complete code of laws and regulations was developed for the government of the newly formed Building Trustees. Washington Lodge and the dedicated members thereof made a valiant attempt to counter the Anti-Masonic charges of the Dark Period. They remained a visible, viable organization throughout the 1820's and 1830's even though their membership was declining. In 1831-2, the inventory of the Lodge was reviewed to identify any excess which could be disposed of. In 1835, the Trustees were authorized to make any alterations in the boundaries of the Lodge Estate as they deemed necessary and any proceeds from the sale of any land in such adjustment would be appropriated toward payment of the debt due from the Lodge. Finally, in 1836, the subject of sale of the Lodge property was discussed. Adequate offers were not received and the property was put up for auction on June 21, 1841. Wor. Charles Wild, the presiding Master, made the highest bid - $1300 - and became the owner of this property. As early as 1832, Installations were being put off for several months even though the elections were conducted on schedule. The Lodge closed for long summer vacations. The election of Bro. Wild as Master on November 19,1840, was acknowledged as having violated the by-laws since it was his third term as Master, but was allowed. By July 1846, the remaining members voted to disband the Lodge, storing all Masonic furniture and selling the balance to the members. The Charter was effectively returned to Grand Lodge but never left the physical possession of Wor. Bro. Wild. During the spring of 1846, the members of Washington Lodge decided they wanted to start up activities again and petitioned Grand Lodge for a restoration of the Charter. This request was granted and on June 15 Wor. Bro. Wild was requested to provide the Charter so that it could be endorsed with the most recent Grand Lodge action. The first meeting after the restoration of the Charter was on Christmas Eve, 1846. Twelve Masons met at Webber Hall with R.W. Charles Wild in the Chair, to consider the expediency of resuscitating the Lodge; they decided to proceed to organize the same as before, establish admission fees of $2 and adjourn to December 31 at 6:00 P.M. for admission of members. A total of 20 Brethren were proposed for membership prior to adjournment. The "Organization" meeting on New Year's Eve included balloting for membership for thirteen Brethren, Choice of Officers and Installation, adoption of the old By-Laws and appointment of a committee to locate a suitable meeting place. Bro. Charles Wild was elected Master thereby spanning the entire Dark Period. Webber Hall was selected and was dedicated by<3rand Lodge on January 26, 1847. The Grand Lodge Return for September 1847 showed a total of 23 members at the end of that first year following Charter restoration. On December 14, 1848, following Wor. Bro. Hamilton's decision not to serve a second year as Master, the Junior and Senior Wardens asked to be excused from serving. The Lodge voted that Bro. Wild serve as Master, winning over Bro. Lyon; elections for the other officers were adjourned for a week. Prior to that second election, Bro. Wild reported the pressure brought to bear on him not to serve, informed the members he would accept the distinction but requested a private Installation. Protests were then entered against Bro. Wild's election and he withdrew his acceptance as Master. Bros. Wild, Lyon and Stevens declined serving any office for the current year and offered remarks with regard to having their reputation assailed. The cause of the "disturbance" was not identified. Webber Hall had to be vacated in 1851 and an assigned committee secured Caleb Porter's Hall for seven years; Trustees were appointed to receive the lease in trust. The first meeting held in this Hall at 107 1/2 Washington St. was on June 12, 1851; other groups sublet this facility for their meetings. Washington Lodge accepted the Pilgrim Society/Grand Lodge invitation to participate in the laying of the cornerstone of the National Monument to the Forefathers at Plymouth on August 2, 1859. The members also participated in the Grand Lodge laying of the cornerstone of the new Grand Lodge Masonic Temple on Tremont Street in Boston. By 1854, the Lodge was again searching for a new meeting place. The Halls of W. & A. Bacon and Samuel Guild were considered; the former was selected and renovations were underway by September. The next Installation was held there in December 1855. Following the Installation of Officers on November 8, 1864, Wor. Bro. Samuel Little, the newly installed Master, presented a plan of a larger hall. A committee was appointed which obtained a ten year lease for the rooms on the third floor of the Guild Building which were being fitted up for the use of the Lodge. This committee also procured a suitable organ since a Lodge Organist had just been appointed. The Civil War had a significant impact upon Washington Lodge - five of the brethren of the Lodge laid down their lives, but many others were able to return home. As was normal during any wartime era, the number of applicants, candidates and members grew significantly during the 1860's. More than thirty new members signed the By-Laws of Washington Lodge each year during the middle of the decade. From 1865 to 1875 the number of by-law signers remained between 10 and 35 with several others affiliating. Along with this increased activity level came a period of financial stability and growth. In November 1865, an assessment of $5 was made on each member of the Lodge; by the Annual Communication of November 1866, the Lodge was free of debt with significant cash resources. The Masonic activity level in the Roxbury area induced brethren to entertain the creation of additional Lodges in the area. On June 12,1865, Grand Lodge granted dispensation to Lafayette Lodge to function in Roxbury. Eliot Lodge was established in West Roxbury in 1866. Both Lodges had received the strong approval of Washington Lodge and offer to use the Hall. The Communications of Washington Lodge were going through some interesting evolutions. Music played a major role in the meetings. The first record of a Nominating Committee was on October 10, 1867. This committee became a regular appointment the month before the Choice of Officers each year thereafter. In 1870, Wor. John F. Newton initiated the practice of summarizing the events of his year in a report delivered at the Annual Meeting and recorded in the minutes. This tradition, with few exceptions, continued until 1978 providing excellent summaries for review. A By-Laws revision in 1865 removed the tie to the full of the moon and changed the Stewards and lesser officers to be appointed positions rather than elected. These new By-laws also required that they be read at each Regular Communication in March and September. A Board of Trustees was established to be responsible, along with the Master, for all stocks and other property of the Lodge. For the 75th anniversary of the Lodge in 1871, the Lodge presented a granite block to the Washington Monument. At the same time a committee was appointed to again investigate the acquisition of suitable rooms for the Lodge; the other participating Masonic bodies were invited to participate. Each organization provided five representatives who organized themselves as the Board of Directors of Masonic Apartments in Roxbury and develop By-Laws for their government. The result of the investigation was a major repair activity on the present Lodge rooms. The total cost of these extensive renovations was $3,250.03 of which $300.00 was donated from Lodge funds. The balance was paid for by the members of Washington Lodge. The 90th Anniversary of Washington Lodge was celebrated on March 15, 1886. About 200 members and guests participated in the festivities. In October 1891, three members were selected as Trustees of the Masonic Apartments; these Trustees were in addition to the Board of Trustees established in 1865 to guide the Lodge's financial affairs. As early as October 1892, this group was being called the Roxbury Masonic Association. May 12, 1892, marked the first meeting in the new Masonic Apartments in the upper story of the Robinson Block at 2307 Washington Street - on the south corner of Washington and Vernon Streets. The November 10, 1892, Regular Communication was followed by a Public Installation. About 300 members and friends attended the affair at the cost of $1.50 for a dinner ticket. The Dedication ceremonies held on April 5, 1892, were closed for members of the Fraternity only. A series of gifts or presentations to the Lodge occurred just prior to the Centennial Celebration. Bro. Augustus Parker, grandson of Washington Lodge founder, Wor. Bro. Ebenezer Seaver, presented a crayon portrait of him to the Lodge on September 13, 1894. This portrait was accompanied by a note giving some of the biographical details of the Lodge's first Worshipful Master. This portrait hangs in the current Lodge Rooms. The actual Centennial Celebration was held on March 17, 1896, with Union Lodge of Dorchester, Lafayette Lodge of Roxbury, Eliot Lodge of Jamaica Plain and Prospect Lodge of Roslindale participating in addition to Grand Lodge. Lodge opened at the Masonic Hall and a procession led to the First Religious Society meeting-house in Eliot Square where the Consecration had been held in 1797. A Reception was held on March 24, 1896, in Berkley Hall and was followed by a banquet in Odd Fellows Hall. A total of 515 people attended this event. The membership of Washington Lodge had continued to grow throughout this period. In 1892, there were 285 members and by 1896 the ranks had swelled to 391; a total of 550 was reached in 1903. The average new by-law signers per year was about 30 with a peak of 52 in 1896. Affiliations, demits and deaths were fairly normal. By the early 1900's the number of candidates was quite high - reaching 37 in 1903; this represented only 33% of all applications received. honored with the D. D. G. M. assignment. Reminiscences of this new Washington Lodge home paint a picture of a very beautiful Lodge facility. The outside of the Temple was very plain - in fact there were storefronts at the street level (in later years the location of a casket company). The inside, however, was spectacular - rivaling, even exceeding, the Boston Temple. The ceilings were extremely high, stairs all of marble including balustrades. A huge banquet hall, an impressive Commandery Asylum, beautifully appointed ladies' area, great grandfather clocks, etc. The top floor had one of the most grand Masonic rooms - a splendid Hutchings organ, presided over by a German master musician, Franz Reismann. The whole room had state of the art, hidden ceiling lights, surrounding the hall, controlled by dimmers. It sat at least 300-400 people, was deep carpeted with extravagant mahogony seats beautifully covered. On the same floor was a smaller hall and a card and billards room. Ladies Nights/Lodge Anniversaries and outings. The 125th Anniversary of Washington Lodge was celebrated with Services at the First Church in Roxbury on Sunday afternoon, March 13, 1921, and a Special Communication on March 17. The Anniversary Celebration on the 17th was combined with the annual Ladies Night. An elegant dinner served to the guests was followed by White's Musical Revue and dancing. By 1927, the financial situation of the Lodge had changed to the point that the Trustees were required to provide operating expense money to the Lodge Treasurer rather than the Lodge increasing the Permanent Fund balance. There were noticeable drops in the number of applications received and the attendance was down. Lodge membership reached a peak of 1152 members in 1926; this was more than double the 462 members in 1900. A steady decrease down to 485 in 1960 was experienced - the deaths stayed fairly constant at about 25 per year. Each Master tried new approaches to reverse the trend, but none was successful. In 1931, Wor. Bro. Frank S. Waterman proposed relocating the Lodge to a more suitable site within the City of Boston. A committee was appointed, but no reports were ever documented. By the early 1940's, the presiding Masters were initiating studies of the entire financial structure and well being of the Lodge and per member assessments were implemented as well as voluntary donations. Annual contributions in excess of $1000 were realized and it became an annual tradition for the Master to send a letter to the members showing the membership break-out (paying vs non-paying) as well as the expenses and income for the year. These letters indicate that the membership did rally behind the effort to maintain financial stability. A 150th Anniversary Celebration was held on March 14 and March 16, 1946. The Masonic Observance on the 14th, attended by the Grand Master, comprised a regular Communication business meeting and a dinner. By the mid I950's, the drastically changing Roxbury environs were causing many Washington Lodge members extreme concern, not only for the property of the Lodge but also its very existence. This concern reached a turning point in 1953 - from thoughts to planning and then to action in 1959. The relocation committee presented various options during that year and on December 16, 1959, a secret ballot was conducted which supported a move to Lexington. The effective date of Washington Lodge's move to Lexington was September 1, 1960.
razing and opened in May of that year. Throughout the residency in Lexington, there has been some discontent resulting from rent increases and lack of candidates being the "second Lodge". Consequently, there were several attempts over the years to locate an alternate facility/location. In 1966-9, the Lodge was considering the purchase of the Carlisle Congregational Church building but this approach was dropped. In the late 1970's, moves to the Museum of Our National Heritage and then the Burlington Masonic Temple were considered. Again, each of these move considerations were abandoned. The Museum of Our National Heritage was again considered in 1980. Periodic rent increases throughout the 1980's and a kitchen refurbishment assessment elicited another serious attempt to secure another meeting place; this time, the new location was Concord. This plan had to be abandoned when elements of Corinthian Lodge raised objections to the proposed move. A Special Communication was held on March 17, 1971, to celebrate the 175th Anniversary of Washington Lodge. The Paul Revere Charter and Jewels were on display and various Past Masters read significant items of the Lodge's history. Since the mid-1970's, Washington Lodge had loaned the Paul Revere Jewels to the Museum of Our National Heritage for display purposes and in 1978 this became a permanent loan with access to the Lodge as requested. Many other valuable items of Lodge memorabilia were also placed under this arrangement in 1978 for safekeeping. The Washington Lodge of Roxbury days had been steered by a very powerful group of Past Masters who had the interest of the Lodge at heart but were set in their methods of operation. As this group grew older and newer, younger officers started in line in Lexington, a division line was established. The "Old Guard" maintained control of the Lodge through their lock on the Lodge funds resulting in tenuous conditions under which animosities grew, sides were chosen and the art of communication was abandoned. Several years were very rough and stormy and were followed by years of peacemaking activities. A partial return to the "old ways" in the mid-1980's prompted a full revision of the By-Laws to minimize conflict and preclude any exclusive control. These changes were strongly debated in early 1990 and voted on in February 1990. With few exceptions, this is the set in force at the present time. In 1985, Washington Lodge pledged and contributed $17,000.00 to the Masonic Home in Charlton to be used for the purchase of a room there. The total contribution was split up over a number of years, but it demonstrated Washington Lodge's commitment to Masonry across the Commonwealth. The members also remembered their sister Lodge from Roxbury and presented an Hour-glass to Lafayette-Dover Lodge on the occasion of their 125th Anniversary in 1991. Social events of Washington Lodge continued into the 1980's with Ladies Nights, children's parties and outings becoming annual events. An interesting exchange was instituted in 1985 with Washington Lodge No. 61, Manchester, NH. Periodically since December 16, 1985, the officers of Washington Lodge of Lexington, MA, and Washington Lodge No. 61 of Manchester, NH, have performed reciprocal Degrees at each others' facilities. On many instances, the Grand Masters of the respective states were in attendance as well as members of the two Lodges. Planning for the Bicentennial Year celebrations has been ongoing for several years and swung into high gear in the early 1990's. The actual Bicentennial Year, under the leadership of Wor. Harold L. Xavier, has been planned and executed with several events open to members, their families and friends. This approach has helped to increase Masonic Awareness in general as well as to celebrate 200 years of Washington Lodge history. The highlight of the various events will be the Bicentennial Dinner scheduled for March 16, 1996, at the Burlington Marriott. It will mark the completion of 200 years and the start of the next 200. This brief history has been excerpted from the Bicentennial Volume being prepared for publication in the Fall of 1996 by Wor. Robert A. Domingue, Bicentennial Historian. Wor. Wm. H. Brown, M.
Wor. Samuel Jackson, S. W.
Wor. Jeremiah Lyon, J. W.
Bro. John H. Pierce, S. D.
Bro. John Webber, J. D.
Bro. John Robinson, Jr., S. S.
Bro. James Sinclair, J. S.
R. W. Chester Guild, Marshal. The new hall recently fitted up by Washington Lodge, at Roxbury, was publicly dedicated by the Grand Lodge on the 26th of January last The hall is spacious, and well adapted to the purposes for which it is designed. There were probably about two hundred persons present as invited guests—one-half of whom, at least, were ladies. The orator selected for the occasion not being present, an extemporaneous address was delivered by Rev. Br. Paul Dean. It is needless to say that he acquitted himself ably and to the acceptance of his audience, for this he always does. The music was under the direction of Br. Oliver, and was executed with a due regard to good taste and science. The ceremonies of dedication were performed by the Grand Master, in his usual solemn and impressive manner. A Voluntary on the organ. Prayer, by Rev. Br. G. M. Randall. Installation of Officers, by R. W. George G. Smith. Proclamation by the Marshal, Br. N. A. Thompson. Address by Rev. Br. G. M. Randall. Address by W. Luther Hamilton, the newly installed Master of the Lodge. Prayer, by Rvd. W. R. Alger. The address of Br. Randall was extemporaneous, and one admirably adapted to the occasion, and delivered in a style truly eloquent and effective. The installation of the officers, by Br. Geo. G. Smith, was performed in his usually happy and impressive manner, and was calculated to make the several officers feel that they were entering upon the discharge of high and responsible duties. The singing was performed by Mrs. Shirley, Mrs. Melcber, Mr. T. Proctor, and Br. Wm. B. Oliver. We need hardly add that this part of the ceremony was performed in a manner highly creditable to those engaged in it, and to the satisfaction of all present. Mrs. Shirley possesses a voice of extreme power and richness, and sings with a style and taste which would please the most fastidious musical connoisseur. Her rich treble, with Mrs. Melcher's fine alto, Mr. Proctor's full and heavy bass, and Mr. Oliver's pleasant tenor, formed a musical quartette to which it was truly pleasant to listen. The company separated at an early hour, each one apparently pleased and edified with the evening's ceremony. DEDICATION OF A NEW HALL. The new and beautiful Hall recently fitted up by Washington Lodge, in the neighboring city of Roxbury, was dedicated by the M. W. Grand Lodge on the evening of the 17th of March last, being the 69th anniversary of the organization of the Lodge. The occasion was one of more than usual interest, and we have rarely seen the simple ceremony of Dedication performed with more beauty and effectiveness. The Hall was filled to its utmost capacity by the Brethren and their ladies, and all, by their close and decorous attention, seemed to manifest a personal interest in what was passing before them. Address by the Grand Master, which was well conceived and admirably delivered. If we were sure he would not hear us, we should say that it was one of the best of his many excellent official addresses. He was followed by the Rev. Bro. Dadmun, as the Orator of the evening, in a more set address, of great excellence and appropriateness. He spoke for about twenty minutes, to the great satisfaction of his large and attentive audience. The ceremonies in the Hall were then closed with the Anthem by the Choir, "Glory Be to God On High." A procession was then formed, and the company repaired to the Banqueting Hall, where a rich and bountiful entertainment had been provided for their refreshment. The Hall is one of the finest in the State, and is about 45 by 38 feet. It is nearly and richly furnished, and has the addition of an elegant rich toned organ of superior finish and workmanship. The decorations on the wall and ceiling are by Bro. L. Haberstroh, one of the best and most skillful frescoe painters in the city, and it does him great credit. The Banqueting Hall and ante-rooms are all of good size, convenient and well finished and furnished. There is not probably another Lodge in the State, and but few in the country, provided with so many appropriate and elegant working apartments. The Lodge was never in a more prosperous condition, and perhaps never in safer or more competent hands. Presentation. — The members of Washington Lodge, Roxbury, at their regular meeting last month, presented to W. Brother Samuel Little, Esq., their retiring Master, a solid gold Past Master's jewel, of the finest, workmanship, and also a magnificent inlaid marble clock of the largest size, which was surmounted with a beautiful bronze figure of Minerva. W. Br. John F. Newton, W. Master; George Richards, Senior Warden; Joel Seaverns, Junior Warden; Robert W. Molineaux, Treasurer; George F. Davis, Secretary; Robert G. Molineaux, Senior Deacon; Solomon A. Bolster, Junior Deacon; Benjamin F. Ayers, jr., Senior Steward; Joseph Houghton, Junior Steward; Elbridge G. Scott, Tyler; Edward Wise, Chaplain ; Br. C. C. Dean, Marshal; L. B. Dutton, Inner Sentinel; H. Gerrish, organist. The above named officers were duly installed at the communication held Nov. 12, by R.W. Cephas Brigham, D,D.G.M., of the Third Masonic District, assisted by a *delegation." At the conclusion of the exercises, the Lodge with the guests retired to the banquet hall, where a fine collation was in readiness. Speeches, and singing by the choir, closed the evening's entertainment. Frederick W. Klemm, WM; George A. Brackett, Jr., SW; Charles W. Hutchinson, JW; Marshall S. P. Smith, T; Gustavus F. Alden, S; Rev. Dr. Frederick W. Hamilton (PM), C; Rev. James H. Holden and George W. Adams, AC; Arthur F. O. Cederstrom, M; H. Raymond Chubbuck, SD; Lloyd K, Allen, JD; Henry S. Wolkins, SS; Harry F. Stevens, JS; John Ballantyne, IS; William H. Gerrish, organist; Albert E. Taylor, tyler. Past Grand Warden John Carr was reelected trustee as his own successor. The proceedings at the regular meeting of Washington Lodge, A. F. & A. M., on Thursday, December 12th, 1912 (This date shows a rare and curious dominance of the number 12, it being the 12th day of the 12th month of the 12th year of the century) were made exceptionally interesting by the presentation of an ancient Masonic diploma and some old-time Chapter regalia of one of earliest members of Washington Lodge, of which Wor. Frederick W. Klemm, Master of the Lodge, had obtained possession. The diploma was that of Bro. 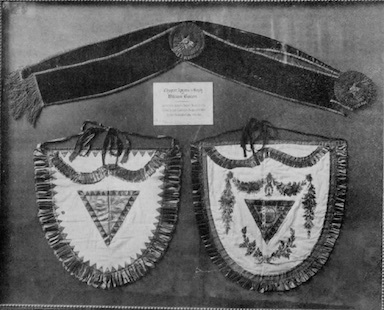 William Bacon, member of Washington Lodge from (Oct. 30) 1816 to 1868 and the Chapter aprons and sash were used by him as a member of St. Andrews R. A. Chapter in which he was exalted March 26, 1817, and of St. Paul's Chapter which he joined on March 23, 1819. Two grandsons of William Bacon, Bro. Augustus Bacon, member of Washington Lodge and Bro. Horace Bacon, member of Prospect Lodge, were present, the latter of whom, in a few felicitous sentences, presented these relics to the lodge. The Master, in his explanatory remarks, pointed out that the name of William Bacon stands out conspicuously in the history of Washington Lodge, he being one of a few sturdy men and Masons who manfully held aloft the banner of Freemasonry in the time of sore distress and peril. He was one of a committee of eleven to petition the M. W. Grand Lodge, September 9th, 1846, for the restoration of the charter of Washington Lodge which had been surrendered in 1841, owing to the waning interest in Masonry in the dark days during and following the violent anti-masonic agitation which swept the country from 1826 to 1834 and which is illustrated by the fact that in the fourteen years from 1827 to 1841 only eleven new members entered the lodge. This committee contained another name distinguished in Masonry in Massachusetts, that of Winslow Lewis, Sr., who was Junior Grand Warden in 1841-1843 and father of Winslow Lewis, from whom Winslow Lewis Lodge (instituted in 1855) derives its name and who was Grand Master in 1855, 56, 60 — and before that, in 1846, 47 (as Winslow Lewis, Jr.), Deputy Grand Master. The 122d Anniversary of the Institution of Washington Lodge, A. F. & A. M., Roxbury, Massachusetts, was celebrated, Saturday, March 16th by a ladies' night. The reception was from 5.30 to 6, at which were present the Grand Master, Leon M. Abbott and Mrs. Abbott; the Grand Secretary, Frederick W. Hamilton, Mrs. Hamilton and Miss Hamilton; Frank M. Weymouth, District Deputy Grand Master, and Mrs. Weymouth; Charles Leavitt, as marshal and Mrs. Leavitt. At 6.15 there was a banquet followed by in entertainment by the Kerry Singers and Players in the Lodge Hall. From 10.15 to 11.45 dancing was enjoyed in Symposia Hall. There were about two hundred fifty present, among whom were the following distinguished guests: James N. Littleton md Mrs. Littleton; Mr. Hartwell and Mrs. Hartwell; Daniel R. Knight and Mrs. Knight; George W. Boland and Mrs. Boland; Dawson W. Oakes and Mrs. Oakes; Owen A. Jackson and Mrs. Jackson; W. Newton Harlow and Mrs. Harlow; Arthur A. Lincoln and Mrs. Lincoln. The Master of Washington Lodge, Henry C. Wolkins, had the assistance of all his officers in making the affair pleasant and attending to the requirements of the guests. More than a thousand men and women met at the First Church in Roxbury Sunday afternoon, March 6 to celebrate the 125th anniversary of Washington Lodge, A. F. & A. M., the seventeenth lodge to be organized in the State and the second in size today. Bishop Edwin H. Hughes gave the principal address, and Grand Secretary Frederick W. Hamilton reviewed the history of the lodge. The service opened with an organ prelude by R. Franz Reissman, followed by an invocation by Rev. Miles Hanson, minister of the church. Rev. Charles L. Page, chaplain of the lodge, read the Scripture lesson, and prayer was offered by Rev. Edward A. Horton, Grand Chaplain. Benediction was pronounced by Rev. Arthur T. Brooks. Thursday evening, historical exercises were held in the Masonic Temple on Warren Street, Roxbury, to celebrate the 125th anniversary of the signing of the charter. Governor Cox and the grand officers of the Grand Lodge were present. A banquet was served, and there was an entertainment and dancing. Arrangements were in charge of Worshipful Master William H. C. Carrasco and Lloyd K. Allen, chairman of the anniversary committee. Celestial-ward with work well done. Their work still follow's as the Great Light prophesied. The structure of this grand old Lodge through many a day. The founders of our nation counted many masons strong. Impulse and strength for life's work, in any useful sphere. They said, "We'll rise and build," and so our Lodge began. Inspired them foundations well to lay. Grand Master Paul Revere the charter signed, the jewels made. Order, love, beneficence the early history proves. Still live, in memory and work well wrought. God honored be; eternal hope made sure. A large gathering was present recently at the laying of cornerstone of a Sunday school building and parish house of the Dudley Street Baptist Church, Roxbury, to be erected at a cost of about $200,000. The ceremonies were conducted by Washington Lodge of Masons, assisted by the Rev. Dr. Herbert S. Johnson, who is serving the pulpit at the church in the absence of the pastor, the Rev. Arthur T. Brooks, who is traveling in Egypt and the Holy Land; George W.Coleman, Victor A. Heath, treasurer of the building fund, and the Rev. Charles L. Page, assistant pastor of the church for nearly 30 years. Washington Lodge laid the corner-stone of the present church 75 years ago, and the Master of the same lodge laid the cornerstone of the first edifice 100 years ago. The members of the lodge assembled in the church vestry at 2:45 o'clock yesterday afternoon and attended the ceremonies as a body. Br. Johnson offered prayer. Mr. Coleman, chairman of the social work committee of the Boston Social Union, spoke as the representative of that union and as a member of the building committee. The Rev. Mr. Page and Mr. Heath also delivered addresses. There was singing by the Concord Male Quartet. At the 105th anniversary of the Dudley Street Baptist Church, held nearly two years ago, it was decided to build a Sunday school and parish building to minister to the growing needs of the community. This building was to cost about $60,000, but after plans were drawn and another survey made, it was decided to double the size of the building. New plans were submitted. With each survey, however, new avenues of service became apparant, so construction was deferred until better plans could be obtained. About a year ago the church united with the Boston Baptist Social Union, and the Rev. Mr. Brooks interested the union in the project. A new building committee was formed, consisting of George W. Coleman, Mr. McCurdy and W. E. Blodgett from the union, and the following from the church: Albert E. Carr, chairman; Victor E. Heath, Dwight H. Woolford, William E. Brown, George B. Young, James H. Stewart, George Coverly, Frank H. Letteney and Rev. Mr. Brooks. Chairman Carr and Mr. Stewart died last summer. William F. Brown is now serving as chairman. This page was last modified on 4 September 2018, at 11:59.